1. How does Iowa Mortgage Solutions protect my personal information when I apply online? Your privacy and use of information is very important to us and Iowa Mortgage Solutions takes stringent measures to protect your personal information. Once you submit your application it is encrypted for transmission and then is stored on the Iowa Mortgage Solutions server. 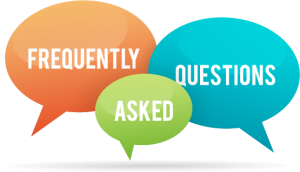 2. Who do I contact for general information and questions regarding Iowa Mortgage Solutions? 3. How quickly will my loan be approved? Once you submit your application our goal is to execute a credit decision the same day or within 24 hours after the application was submitted. 4. I don’t have any money for a down payment. Can I still get a loan? Yes. Iowa Mortgage Solutions offers loan products up to 100% of the purchase price with the seller paying up to 6% of the purchase price for closing costs if all parameters are met. 5. Can I get a loan with past credit problems, bankruptcy, foreclosure, mortgage lates etc? Yes! Iowa Mortgage Solutions has loan programs to provide up to 100% of your homes value one day out of a Chapter 7 bankruptcy if all program parameters are met. Iowa Mortgage Solutions also has programs to handle past credit problems, mortgage lates and foreclosures. Check out our solutions in credit problems. 6. Can I get a loan if I am self employed? Yes! Iowa Mortgage Solutions has full documentation and reduced documentation programs to make it possible for self employed borrowers to obtain a mortgage loan. The full documentation programs require tax returns, bank statements or pay stubs for commissioned or self employed borrowers. The reduced documentation programs are more credit score and collateral driven (driven by the appraisal) with less documentation (tax returns, bank statements, paystubs etc.) to make a decision. Get more information at our self employed section. 7. What percentage of my homes appraisal value can I borrow? The amount of borrowing power you can get varies based on such factors as your credit score, past credit performance, job stability and debt to income ratios. However, most borrowers who meet parameters of the loan program can borrow up to 107% on a home purchase and consolidation loan on a first mortgage. The maximum borrowing power for a second mortgage (when all mortgages are totaled) and all program parameters are met can borrow up to 125% of the home’s appraised value. 8. Can I purchase an investment property with no money down? Yes! Iowa Mortgage Solutions has investment property loan programs to borrow up to 100% of the purchase price with the seller contributing 3% toward closing costs if all parameters are met. Investment properties can be purchased with either full or reduced documentation. Get more information from our investment property pages. 9. Can I apply for a home purchase before I find a property? Yes! In fact if you are looking for a property Iowa Mortgage Solutions recommends that you apply for a pre-approval. We will review your financial situation to determine if your are likely to qualify based on the estimated loan amount and purchase price information you provide in your application. A pre-approval gives you greater flexibility and leverage while you conduct your home search. Get more information on our Mortgage loan section. 10. On a home purchase loan, is there someone who will work with my Realtor? Yes. If the loan is pre-approved, a pre-approval letter from an Iowa Mortgage Solutions consultant can be forwarded to your Realtor to begin your search for your dream home. Get more information from our mortgage section. 11. What is the difference between a home equity loan and a home equity line of credit? 12. What is the difference between the interest rate and APR? The interest rate is the cost to borrow the lenders money. The APR represents the total cost of the mortgage over the life of the loan, including closing costs and lender points.